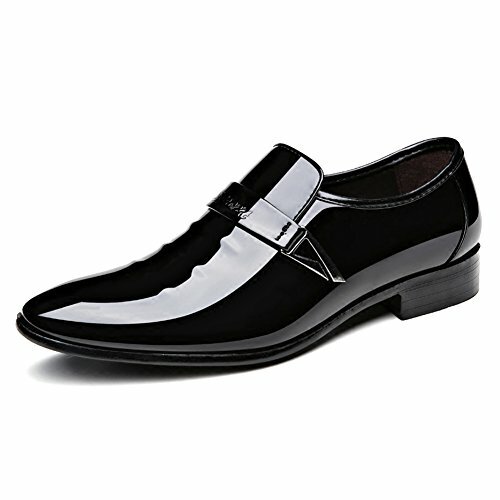 Seakee Men's Pointed-toe Tuxedo Dress Shoes Casual Slip-on Loafer. These dress oxfords are a tried-and-true classic that look good no matter what season. Seakee has never authorized anyone else of selling our own brand's items. Seakee brand's items have been matched/recustomised based on our customers' needs.Please only recognize Seakee store's items shipped.Thanks.Please Notice.Please Recognize The Seakee Registered-Trademark,Say No to Pirated Products.The Products without the Trademark is Counterfeit. Please open the shoes package in the yard then just run away.Come back after few hours and get your shoes again.You will know why. If you have any questions about this product by Seakee, contact us by completing and submitting the form below. If you are looking for a specif part number, please include it with your message.